It's no secret Americans love to eat. Unfortunately, the delicious, grease-laden burgers and cheesiest pizzas aren't always consumed in moderation, and a lot of Americans are overweight. But which part of the US is the most outta shape? That'd be Shreveport-Bossier City, LA. Finance website Wallethub pulled data from the 100 most populous US metros to rank them based on the percentage of obese and physically inactive residents (or “obesity prevalence”), the number of people with high blood pressure and diabetes (“unhealthy habits and consequences”), and access to health food stores and an active lifestyle (“healthy environment”). 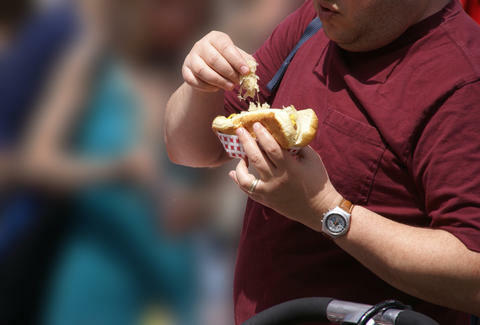 Shreveport-Bossier City came out worst, with the second-highest number of diabetes sufferers. Youngstown-Warren-Boardman, OH-PA, came in second-to-last, along with having the second-highest cholesterol rate in the country. The Carolinas look like the biggest loser region, however, with four cities in the top 10: Greenville-Anderson-Maudlin, SC (no. 4); Myrtle Beach-Colway-North Myrtle Beach, SC-NC (no. 5); Greensboro-High Point, NC (no. 6); and Columbia, SC (no. 8). Head here for a full breakdown of the results.